All APPLICATIONS now also available on FACEBOOK. Here are answers to a few questions recently received from conductors. Q: DEFINING "RECENT RECORDINGS": The application requests that the recording include "recent" performances. What do you mean by "recent"? Within the last year? Not necessarily. Recordings made within the last few seasons are perfectly acceptable. We are simply trying to avoid performances or studio sessions that have no (or very little) relationship to the strengths of an organization as it is currently configured, or to a conductor's current level of skill, hence the purposely vague term of "recent." Q: EXCERPTS OK? : Do the judges prefer full works and/or full movements, or are excerpts from movements acceptable? These are guidelines only. You will not be disqualified if your tape only includes excerpts. Q: OLD RECORDINGS WHERE I'M NO LONGER EMPLOYED? : I'm planning to apply for the conducting prize. May I include in my application performances with ensembles I no longer conduct? Absolutely. There is no restriction. Q: AND OF GUEST CONDUCTING? Yes. Provide the judges with your best available materials, regardless of source. Q: WHICH ENSEMBLE TO LIST? : I currently conduct several ensembles and wonder which one I should list on the application form. If you currently lead more than one ensemble, list the "biggest" or most "important" job on the application form. 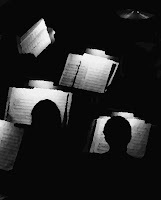 You can of course include on the recording selections from different ensembles to highlight your conducting skills. If, in addition to the conducting prize, you are also applying in the ensemble Performance category, all the recordings for that application must be of the named group, although they can be from multiple years. Q: APPLYING AGAIN: I applied (or won) with my ensemble in a previous season. May I apply again? Yes. There is no restriction against ensembles or conductors applying again. Q: SMALLER ENSEMBLES/SCHOOLS: I am very proud of my ensemble, but I am based in a smaller school and/or community. I don't think we would match up well against a big university with a graduate school or a community organization in a larger city. Should I apply? Absolutely. The judges do take into account the size and "kind" of ensemble and where it is located, so I would not hesitate, especially since we never know until the competition closes exactly who all the contestants are. We are eager for variety, and to uncover those otherwise "hidden" gems of quality worthy of more attention and praise. Also, runners-up and finalists tell us they have gotten real value from those distinctions, even if they did not win the top-place finish, and of course, all contestants from finalists on up receive a written evaluation, which participants tell us they have found positive, useful and informative. We are still a young competition and have as a goal a sincere desire to highlight excellent work in all circumstances throughout the country, not just at the largest institutions. Remember that the list of winners does not always tell the whole story. If you search the blog archives for the announcement of finalists and semi-finalists in recent competitions, you will get a better sense of who the candidates were who were advanced. Alternately, we can email a specific list or link to you. Just write to us at theamericanprize@gmail.com and we will forward what you would like to see. More questions? Email theamericanprize@gmail.com We are happy to help. The American Prize is pleased to announce the quarter-finalists for the Chicago Opera Award, listed below, alphabetically by state. 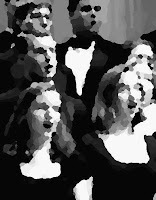 In 2011-2012, in addition to the national voice competition in opera outlined on The American Prize website, contestants could elect to be considered for three $500 prizes to be awarded as performance fees to opera soloists invited to appear under Maestro David Katz’s baton in concert with the Chicago Bar Association Symphony Orchestra & Chorus in May 2012. The selection process for the Chicago Opera Award is separate from The American Prize judging. Winning one competition does not preclude the possibility of winning the other. The three singers selected to perform will be announced on The American Prize blog and to the media as winners of the Chicago Opera Award, but will not receive additional written evaluations or certificates beyond those they may receive as contestants for The American Prize. Congratulations to all quarter-finalists. Please let us know of any misprints. Many thanks. Over the next days, we plan to share sample, generic evaluations from The American Prize judges, to give potential contestants an idea of the kind of written adjudication we provide as part of the competition process. Evaluations are a key component of The American Prize. Although judges have a great deal of leeway about the structure and length of the adjudication they provide, the paragraphs we will post represent simply a sample of the quality we aspire to provide to every contestant who reaches Finalist status or higher. Ultimately, each evaluation is the opinion of one musician, on one particular day. Written evaluations play a role in the final ranking, but no one evaluation should be construed to explain final placement in the competition. There are many factors. Ideally, evaluations are meant to encourage, suggest areas for improvement, and, when appropriate, provide useful, quotable praise. We are artists, too, and because of our various experiences as conductors and music educators, we know first-hand the complexities of teaching and making music in modern-day America. We desire through the evaluation process always to be helpful, positive, and respectful. For those reasons, among many, evaluations posted to our blog are examples only and do not refer to any specific ensemble or conductor. Actual evaluations, with the exception of short laudatory quotes listed when winners are announced, remain private.